An interesting, entertaining, and wide ranging discussion with product designer, Natasha Irizarry. 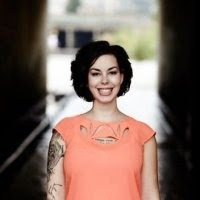 Natasha has quickly compiled some very interesting experience in software product design, some of which was gained while at OkCupid where she worked alongside Christian Rudder while he was completing his book Dataclysm. Listen as we start with Natasha's perspectives on user experience design, experiments, strategy, and make our way to a discussion of the best selling "big data book": Dataclysm.